The Temple is built in the memory of Baba Harbhajan Singh, who was a sepoy of the 23rdÂ Punjab regiment who died while protecting the country serving his duty on India-China border. The place is an image of great devotion and every day it is visited by thousands of devotees and is a popular pilgrim Centre of Sikkim. 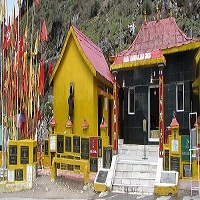 It is also believed that Temple has amazing wish fulfilling magical powers and is a symbol of patriotism and devotion. 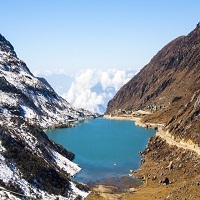 Known for its interesting story and devotion, it is one of the most attractive spot for visitors. The fenced Indo-China border is also few meters away and you can see both Indian and Chinese soldiers guarding the border. The guards are friendly. A stairway leads to the border. There is no 'no mans land' here. Even today, mails are delivered across the border on certain days of the week. There is an engraved stone here calledÂ Nehru StoneÂ which marks the visit of former Prime Minister of India Jawaharlal Nehru who visited in 1958.